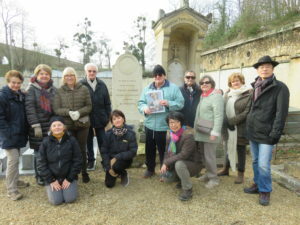 On February 17th, Croissy sans Frontières organized its traditional « walk and talk » promenade in the Jewel Yvelines village of Louveciennes which offers seven castles to admire or visit, numerous historical sities and many memories fo artists, painters and writers. 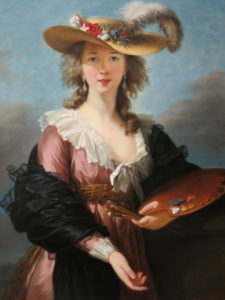 We dedicated our walking tour to Elisabeth Vigée Lebrun (1755-1840) who is buried there. She is a foremost painter and portraitist of the XIXth and XXth century and her works are to be admired in many muséums around the world. 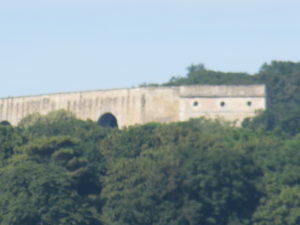 We looked at Camille Pissaro’s home where he lived from 1869 to 1873 and paid tribute to Marshall Joffre whose Mausolee was built in his villa’s park. 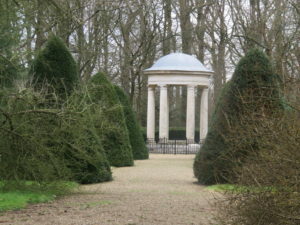 His villa is called Le Pavillon d ela Chataigneraie and overlooks the Western and Northern areas of Paris. We also met an amazing character who is both a local Barber and knowledgeable local historian! It was a great and well attended program!